When it comes to self-control and prohibitions, alcohol is one of peoples’ greatest weaknesses, particularly when it comes to drinking and driving. People find all sorts of ways to convince themselves that they’ll be fine driving after a just a couple of beers. Many countries have strict laws regarding driving under the influence, and ours is no difference. 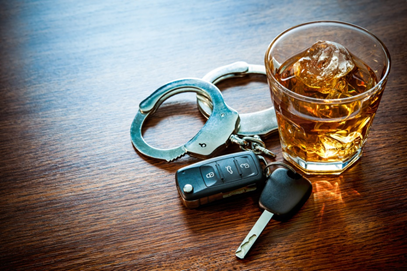 We work with DUI cases often at the offices of Greg Nelson and so we decided to take the opportunity to dispel some common myths and misconceptions about DUIs. This one gets people in trouble more often than you would expect. The truth is that if a police officer believes that you are behaving drunkenly and knows that you have recently operated a motor vehicle, you can be charged with DUI exactly as if you were caught red-handed. Some people believe that having the right blood alcohol level is all it takes to enjoy drinking and then drive without physical or legal repercussion. This isn’t quite the case. While your performance is less likely to be affected, in some states having a BAC anywhere between .06 and .08 is enough to be charged with driving while impaired. It is within your rights to refuse to participate in field sobriety tests. You don’t have to give a reason, though it is something people sometimes choose to do because the tests aren’t always accurate. It’s important to understand that if you don’t participate, you will probably be arrested. This doesn’t mean you have committed a crime, and if you actually have had a drink recently, it can be helpful time to sober up. But you don’t have to do anything without legal counsel present. If it does come down to needing legal counsel, we at the offices of Greg Nelson are ready to help! We have worked on countless DUI cases, and will defend you with every resource we have so that you can keep your driver’s license and a spotless record. Contact us today to learn more, or to receive a consultation.